Cleveland VegGala: vegan event in Cleveland to celebrate all things Veg! 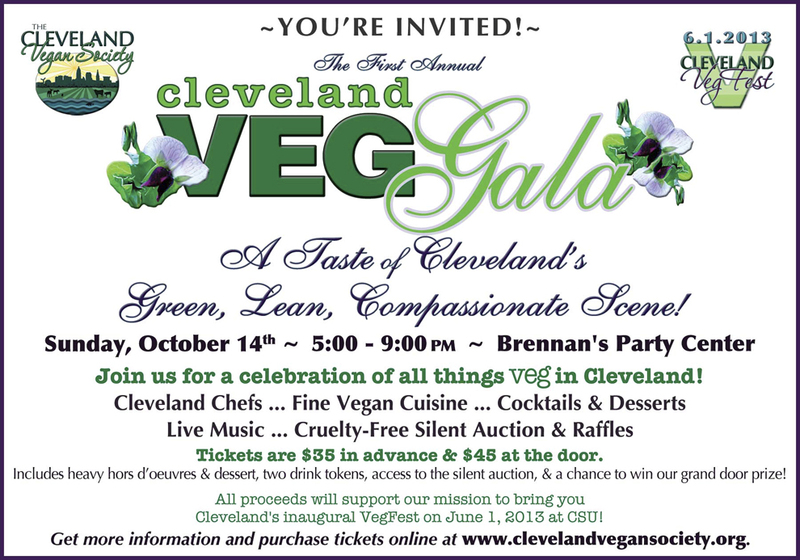 October 14, 2012 – Indulge in an evening of delicious revelry as local chefs feature a sampling of Cleveland’s finest vegan cuisine, serving up abundant hors d’oeuvres, cocktails, and desserts amidst live music and divinely cruelty-free silent auction items and raffles. Proceeds will support our mission to bring you Cleveland’s inaugural VegFest on June 1, 2013!